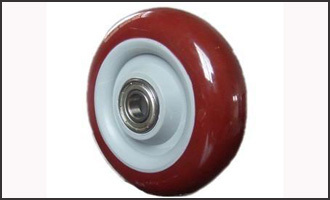 Polyurethane Crowned Wheels are generally used in Conveyors that have turns. The crown allows the wheel to turn with less noise, and resistance (lower energy cost, lower maintenance cost). 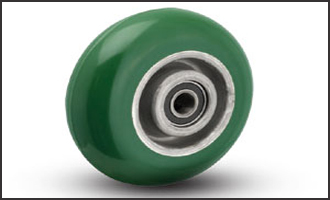 We produce urethane Crowned Wheels for Belt Applications, also. KOSIN can produce Crowned Wheels / Rollers of various hardnesses, colors, and sizes to meet your company's needs.